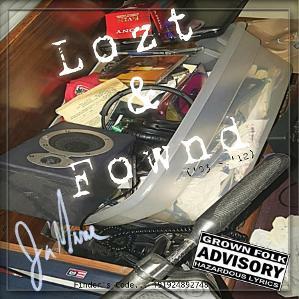 The Lozt & Fownd Album, Released February 16, 2018. This album consists of previously written, recorded, mixed, and mastered tracks from 2000 - 2013. Raw mixture of emceeing with metaphors, similes and punchlines, boom-bap, rnb-hip-hop, baggy jeans and creativity. Contributing Producers: The Architech, Meech of Beats, Da Scrooge, and R.F.I.R. Contributing Artists: KWhy, Meech, The Architech, Da Scrooge, J-Stylez, and Oz "The Silent Hustla"